Use a fine fabric that is loosely woven enough for the fibres to "catch" for nuno felting - silk chiffon is ideal. For a pure wool scarf, try the loom-state fine wool. 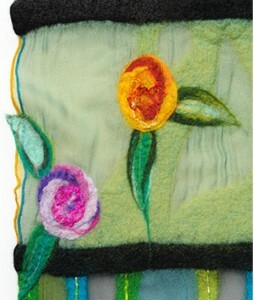 The photo shows a silk chiffon scarf, felted with Ideen wool and silk fibres.